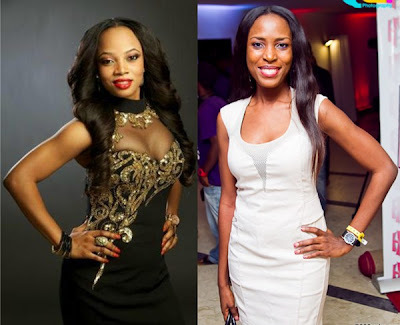 Popular radio and TV presenter Toke Makinwa has aired her thoughts about popular blogger and former model Linda Ikeji stating she ‘doesn’t think Linda Ikeji is a role model’. Little known Makinwa who works as a radio presenter on popular urban radio station Rhythm 93.7 dropped her comments on air while she was co-anchoring ‘The Morning Drive’ recently. ‘ I don’t think Linda Ikeji is a role model . She’s a gossiper, She sells gossip ’, Makinwa said on the showand even appealed to her listeners not to take the likes of popular US blogger Perez Hilton and Miss Ikeji seriously. Ikeji whose romance with Dan Foster ended controversially, published a fashion magazine before settling down fully with herblog. And in just a few years, she’s moved from being media subject to media player; growing her platform to become one of Nigeria’s leading blogs; using mostly third party contents, readerengagement and shocking personal revelations. But, just like Perez and TMZ, she’s under regular fire from readers and celebs who think she often crosses the line. But the successful blogger is not allabout gossip. Passionate about human interest stories, she has often dedicated her blog to supporting worthy causes, a recentexample being the case of Okeoghene Ighiwotho – the diabetic patient who lost his toes and was bedridden for six years. Makinwa, however, is not impressed. ‘ I’m appealing to the younger generation not to take Perez Hilton or Linda Ikeji as a role model ’, she added. Interestingly, Makinwa has been featured on Ikeji’s blog several times, in video interviews for Flytime productions and on publicity posts for 3LiveChicks.